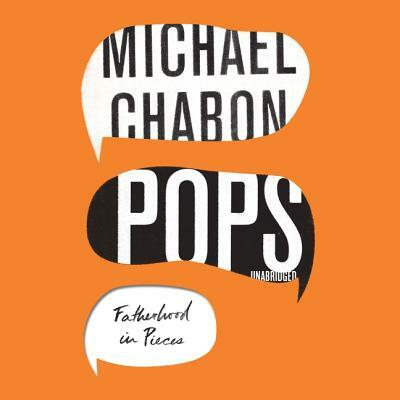 "Magical prose stylist" Michael Chabon (Michiko Kakutani, New York Times) delivers a collection of essays--heartfelt, humorous, insightful, wise--on the meaning of fatherhood. For the September 2016 issue of GQ, Michael Chabon wrote a piece about accompanying his son Abraham Chabon, then thirteen, to Paris Men's Fashion Week. Possessed with a precocious sense of style, Abe was in his element chatting with designers he idolized and turning a critical eye to the freshest runway looks of the season; Chabon Sr., whose interest in clothing stops at "thrift-shopping for vintage western shirts or Herm's neckties," sat idly by, staving off yawns and fighting the impulse that the whole thing was a massive waste of time. Despite his own indifference, however, what gradually emerged as Chabon ferried his son to and from fashion shows was a deep respect for his son's passion. The piece quickly became a viral sensation.